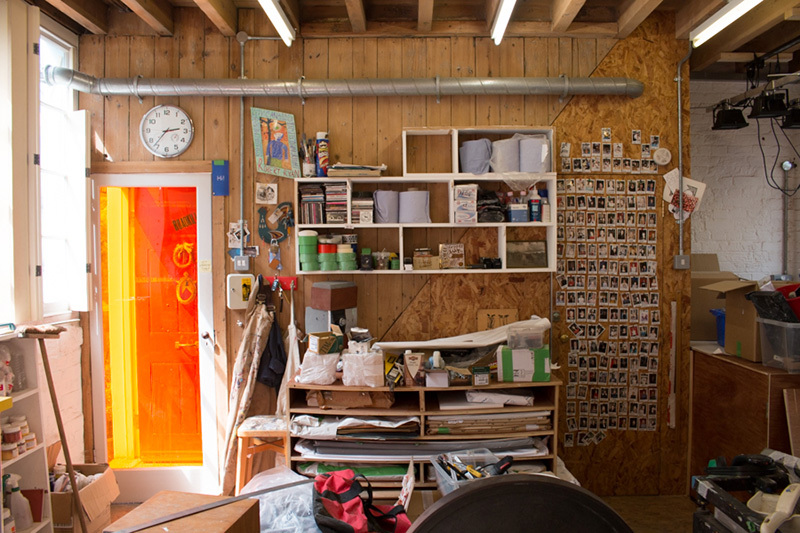 Rob’s studio sits in a small mews in Bethnal Green in east London – an area he has worked in for over 20 years. Principally Rob draws every day surrounded by books and records in the upstairs of his studio which used to be an upholstery workshop. He shares this space with his PA Sarah and his design assistant Daisy. 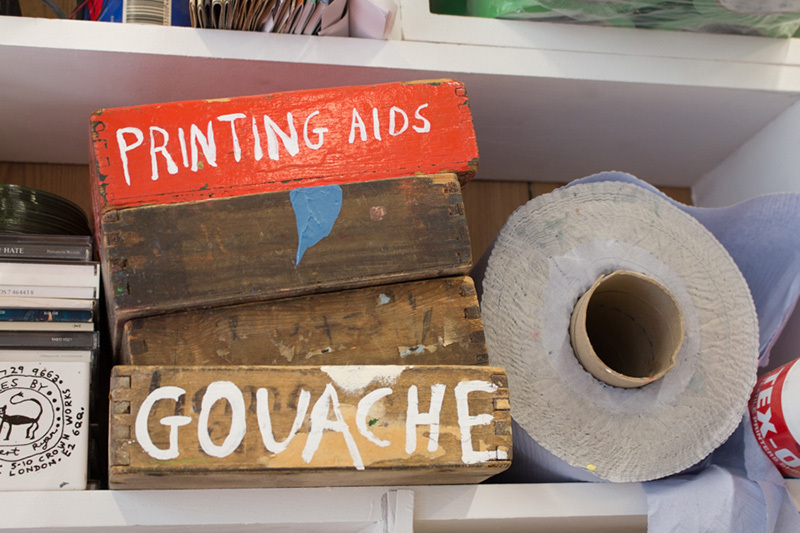 Our print studio is run by our printer, Josh who produces screenprints, ceramic decals, flyers, cards and much more. It is also home to our kiln where all of our hand-decalled ceramics are fired. Our orders are carefully wrapped in house and posted all over the world by Lorna with the help of Daisy.